This situation is unfortunate, because many of these smaller non-profits provide key services to the communities where they are located which aren’t replicated by larger non-profits. Their mission matters… and they need increased fundraising to survive and thrive. The best fundraising strategy for smaller charities is to leverage the resources they already have. You may not have hundreds of volunteers, thousands of clients served, or dozens of large donors, but what you likely do have is a passionate core of supporters who may be able to do more for you… if you show them how and support their efforts. Leveraging resources is all about using what you already have to bring about more support and action than would be possible otherwise. 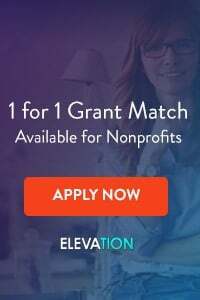 In the simplest example, if you have a supporter who donates $25, and their company matches it with $25, you have effectively leveraged your $25 donor into a $25 donation you would not have gotten from the company otherwise. What other ways can you leverage your current resources? Ask your donors to hold (and do all the work to prepare for) small coffee meetings in their homes to introduce your organization to their neighbors. Ask board members to send out fundraising notes on your behalf to their rolodexes. Ask volunteers if they would be willing to hold a walk-a-thon for you and invite their colleagues to join in. Leverage your current relationships for future fundraising success. For more information on how to leverage your volunteers for increased fundraising revenue, read Volunteer Fundraising Do’s and Don’ts. It’s impossible to “do it all” when you’re heading up fundraising efforts for a small school, church, or charity. Don’t be afraid to delegate to trusted supporters and friends. For example, one of the best fundraising tactics for smaller non-profits is to use tactics where key responsibilities are easy to delegate – things like walk-a-thons, product sales, and scratch cards. (For more about walk-a-thons and similar events, read: Getting the Crowd Involved with Participatory Fundraising). Businesses love scalability – so should you! Scalability means that your fundraising tactic can be planned and organized once, then used over and over again. 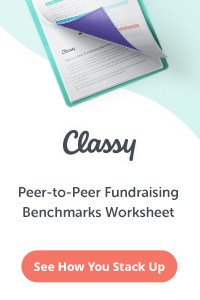 Making your fundraising opportunities scalable allows you to use your limited staff time and organizational resources once and reap the rewards over and over again. A good example of a scalable program would be to invite your supporters to hold small events in their homes on your behalf, where they raise a small amount of money (anything from $50-$5,000) for your charity. 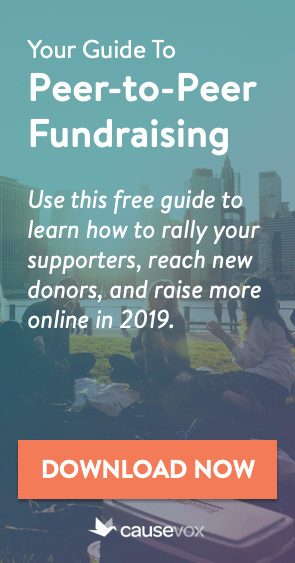 Your staff or a key volunteer could design a “how to hold a fundraising event” book (or better yet, subscribe to the Fundraising Authority Newsletter to get a free copy of ours) and set up the event system in advance, then use it over and over again as more and more supporters agree to host events. One of the best fundraising strategies for small schools, churches, and charities is to focus on what works, and leave the rest behind. The 80/20 principle works well here — if you’re trying lots of different fundraising tactics, 80% of them won’t work or will only get a mediocre response. 20% of them will go gangbusters. Test your strategies, then throw out what doesn’t work, and keep what does. You’ve got a limited staff and a limited budget… use them wisely. When dealing with small organizations, I often break donor prospects down into two big “ponds.” There’s the shark pond… filled those individuals, businesses, and foundations who can afford to write big checks (i.e. $5,000 – $10,000 or more) and the guppy pond… filled with those people, companies, and organizations who generally write smaller checks (i.e. $1-$5,000). Many small charities think they should focus only on the guppy pond, because that’s where most of their money comes from. Other smaller non-profits think they should focus only on the shark pond, because that’s the kind of support they will need to grow. Resist both temptations. The best fundraising strategy is to fish in both ponds: the guppy pond donations will provide your base level of operating support, and the few larger gifts you receive from the shark pond will help you grow, expand, and prosper. This article is very interesting. I really appreciate for the time you invested in trying to help small non-profit and charities to be able to achieve their missions. Thank you so much. 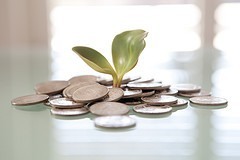 great resource for non-profits that rely on fundraising for their survival.